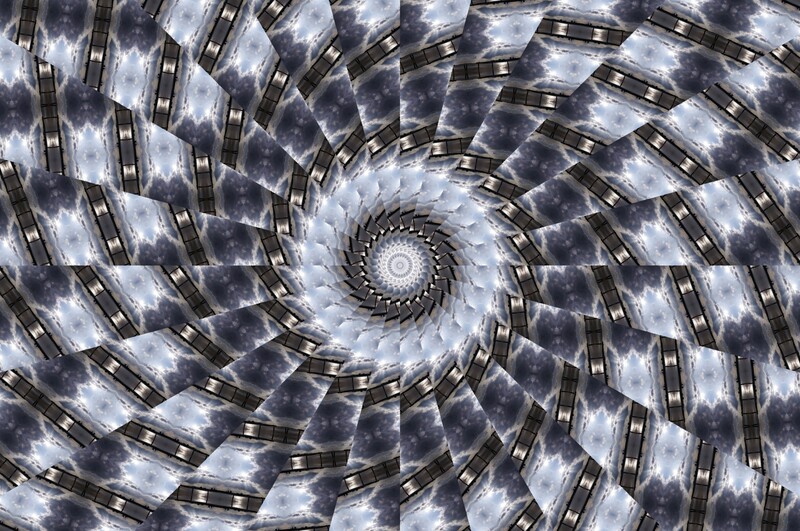 Welcome, readers, to June’s issue of Synchronized Chaos Magazine. This month welcomes a cast of contributors who probe the boundaries between their surroundings and their imagination, between what is and what they fancy, dream, hope or fear could be. Diona Dorr’s short story presents a character who turns to violence when her vision of the perfect future is shattered. Cassandra Gauthier’s poem laments the milestones her speaker’s troubled grandfather could have shared with her. Chika Onyenezi’s poetry collection begins with a subconscious nightmare, then moves to a surrealistic celebration of married love and teenage romance. Donal Mahoney describes the process of submitting one’s creative writing to literary magazines decades ago before the word processor or the Internet. He’s nostalgic for old-fashioned courtesy, but not for piles of self-addressed stamped envelopes! 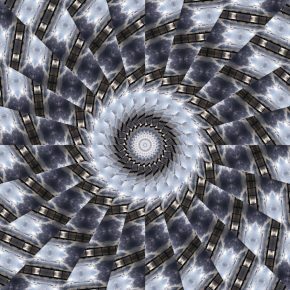 Joan Beebe’s poetry also conveys sweet remembrances of the days of the friendly milkman and ragman. She also reminds us that there are different kinds of families and that those of us with loving, close ones should appreciate them. H.R. Creel’s poetry portrays a man at the top of his world in his imagination in a Walter Mitty-esque fantasy during his ordinary home life. Angelica Fuse comments on identity, as her speakers assert who they are, work to find themselves, or simply can’t help being who they are. Ridley Flock’s poem comments wistfully at the animal strength which humans had in our evolutionary heritage and perhaps psychological memory. J.D. DeHart’s work takes the animal concept farther, giving a series of vignettes where an ordinary office worker transforms into his animal namesake, a ram. As in Kafka’s short story ‘Metamorphosis,’ the change is playful and more notable to readers than to the people surrounding the protagonist. Christopher Bernard reviews San Francisco’s Opera Parallele’s production of The Lighthouse, a modern opera that relates a dark tale of death at sea and also of the evil within humanity. The production seems to have skillfully combined the accessibility of more contemporary music and settings with the philosophical content and organization of traditional opera. Patty Lesser’s novel The Perfect Hand illustrates how friendship and loyalty can empower people to hold onto their humanity and identities in a complex futuristic society with little individual freedom or privacy. 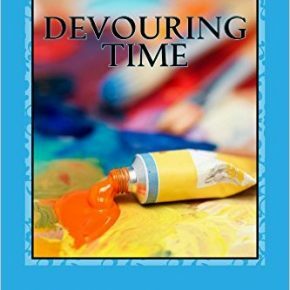 Holly Sisson also reviews another of Patty Lesser’s novels, Devouring Time, in which the characters become more authentic over time and able to have genuinely caring relationships. The characters grow into better versions of themselves. We hope this issue will inspire thoughts of creativity and fancy within the real world where we all find ourselves. The Missing Link- A review of novel Devouring Time by Patty Lesser. 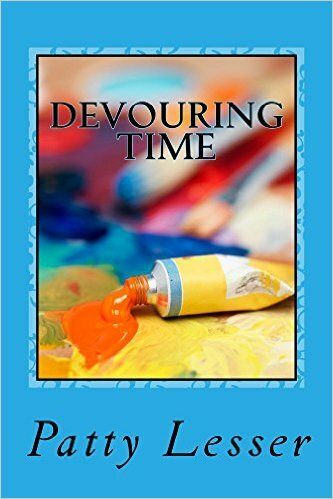 Devouring Time steeps its readers right from liftoff in the delightful dilemma of nuanced character development between the regular Joe Schmoe and the sophisticated gentleman during a conversation had out of convenience and social politeness. The juxtaposition Patty has woven between these two becomes a question for the reader of what personality feels more relatable. A brilliant way to bring the reader right into the psyche and a story that unfolds with a few unexpected twists. In fact, this novel spends a great deal of its prose on the development of the characters as they all become suspects in the mystery that unravels just predictably enough to keep the reader both engaged and on the edge of his or her seat. Curvanna stood still, covered in her emerald green silk robe, staring out the glass window. Looking down from her classic yet chic styled condo, onto the city. Her thoughts began to eat away at her mind. “Clayton, he was tall, fair-skinned, and warming. The way his smile met his high unforgiving cheekbones, and the touch of his textured hair was enough to make her heart melt.” They had met at the tender age of 16. A pure love it was.” Curvanna punched the glass with a solid thud,and soon after wiped her hand hard on the glass staining it with her pain. Letting out a cynical laugh, she started up the matte black winding stair case. Each footstep in sync with her heartbeat, she made it to the top, turning on her heels, and took a slow right. Feeling enraged, she stared at the door no more than arm’s length away as her knees buckled, and she stumbled to the floor. Her chest heaving, a single tear surpassed the corner of her right eye. “I’m doing this for you,” she whispered. Standing up with one hand over her stomach, Curvanna left a kiss of endearment on the door. She knew what she had to do and who to do it for. As she slipped on the white dress she said, “White looks amazing with red.” It had an opening that traveled down to the small of her back, the bust area lined with jewels to draw the eye toward her breasts. As her natural curly-coily hair fell down her shoulders she looked in the mirror while simultaneously lightly touching her chest. “I’ve been in the military for a few years now, you’re the core of my existence, and I want to make you my wife!” Clayton’s words stung like a bee in the womb of a rose. She walked over to her closet and pulled down a red velvet box with a lock attached. She hid the key inside the panel of her bathroom wall. Hastily unlocking the box she pulled out a Glock 22, suppressor attached. She kissed the gun with the same endearment as the door and made her way to her client. And placed the square cap onto my head. And sat down on a hard chair. And sat down on a soft car seat.